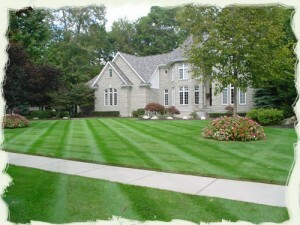 Grass mowing and maintenance is a key to your landscapes survival. Frequent mowing helps a lawn resist weeds, insects and disease. Infrequent mowing causes too much grass to be removed at one time. Infrequently mowed grass also produces a lawn that looks thin, spotty or burned. As a general rule, we never cut more than one-third of the length of your grass at a time, and during the Spring and beginning of summer it is important to make sure your grass is not over grown, this will cause your lawn to loose its lush appearance as the grass clippings layer over the fresh grass this is trying to compete for sunlight.